If you are woken by an alarm or discover a fire in your home, raise the alarm immediately. 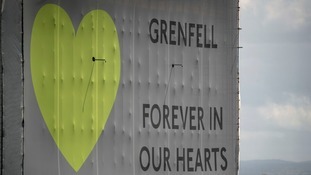 While fire-related deaths in England have been on a steady decline for decades, hundreds of people still lose their lives in blazes every year. If you discover a fire inside your home, you need to act quickly to protect yourself and those around you. If you are woken by an alarm or discover a fire in your home, make sure everybody inside is aware of the danger. Shout and make sure everyone who can't escape the fire is together. If you can't immediately escape the fire, phone 999. Otherwise do so once you're safely outside. You must prioritise your escape and not attempt to save valuables. It's necessary for every home to have a planned escape route and everyone living in the house should be familiar with the best way to get out. While it may be tempting to do so, do not waste time investigating the fire. If there's smoke or the fire alarm has sounded, it is extremely important to prioritise your escape and don't delay your exit by attempting to save pets or valuables. Air is cleanest near the floor so make sure you crawl to the nearest exit if there's smoke. Remember smoke is poisonous and can kill you, so keep your nose close to the ground. As you leave the house only open the doors on your escape route. Keep all others shut to slow down the spread of the fire and before you open a door check its temperature with the back of your hand. If it's hot, don't open it. A window may become the only available exit point when fire takes hold. If your escape route is blocked, the best alternative is likely to be through a window. If they're available, throw cushions or bedding out to break your fall. If you have children with you, make sure they leave the building first. Lower them down as far as possible before letting them go and if possible ask an adult to break their fall. If you are alone, use the window ledge to lower yourself down as far as possible before letting go. If you can't jump out, either because it's too high or too dangerous to do so, get everyone in the same room and make sure it has a window. Put towels or cushions at the door to stop smoke entering the room and call out the window for help. It may seem obvious, but 'stop, drop and roll' is still the best thing you can to do put out the flames. Fire and heat rise, so by laying on the floor you reduce the risk to your face and head. You can also smother a fire by cutting off the oxygen supply using heavy material, like a coat, to cover the flame. If you live in a high-rise block of flats, unless you're close to the ground floor, exiting through a window is likely to be extremely dangerous. If your escape route is blocked you need to make sure everyone in the flat is in the same room and it must be one with a window. Limit smoke entering the room by putting bedding and cushions around the door. If possible, you can put tape on the cracks around the door to further ensure smoke does not enter. If smoke does start to enter your flat, you should stay below the level of smoke and position yourself as close to an open window as possible. It is also a good idea to wet the door to reduce the risk of it catching fire. If you feel you are in serious danger, wave a towel or bed sheet out the window to alert the fire brigade as to which flat you are inside. The best escape route is likely to be the route you usually take when exiting your home. Make sure this route is never blocked and keep it clear of obstructions such as bicycles. You should always have an alternative escape route in case the other is blocked. You also need to identify the safest room to gather everyone into if you can't escape. Remember, if you live in a high-rise building, you won't be able to use elevators in a fire, so highlight the best stairway when planning your escape route. Clean your tumble dryer's lint tray after every use. There are several precautions to take in order to prevent a fire starting in your home. If you have electrical heaters in your house, make sure you inspect them before use and never place them within three feet of anything combustible. Don't keep anything that could catch fire inside the oven and if you're cooking anything make sure you stay inside the kitchen to reduce the risk. Clean your tumble dryer's lint tray after every use - that purplish stuff is highly flammable. If you have a gas-powered dryer get it inspected once a year. Lastly, and potentially crucially important, make sure you regularly check your smoke alarm. It can alert you to a fire before it's too late to extinguish.